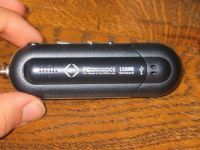 Today I've got another MP3 player review for you all. 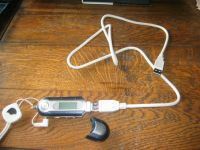 It is the Ubit from JazPiper. This player offers you 128MB to store all your MP3's (or even other filetypes) trough an easy and fast USB connection. Here's a look on the box that arrived here some time ago. 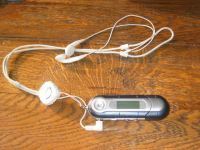 In it I found the JazPiper Ubit MP3 Player, the stereo earphones with neckstrap, a manual, a small sized CD-rom with the drivers and utilities, an USB cable and a Maxell AAA batery. 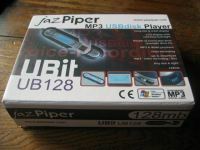 First a quick look on the specifications and features of the JazPiper Ubit. The JazPiper is a small, light and tall player. 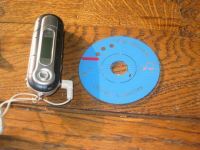 It's sure not too big, in fact pretty small if you compare it to Discmans or Walkmans and it fits well in your hands (or around your neck with the headphones/neckstrap). 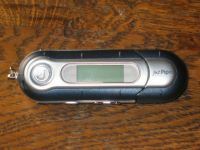 It offers you 128MB of place to put your data on. Yes it isn't limited to carry only MP3/WMA files it can also carry other things like programs, images,... Unfortunately you can't upgrade his memory with some sort of memory card, I think this is because they wanted to keep it as small as possible. The player has a very dark blue color with some parts in light grey. 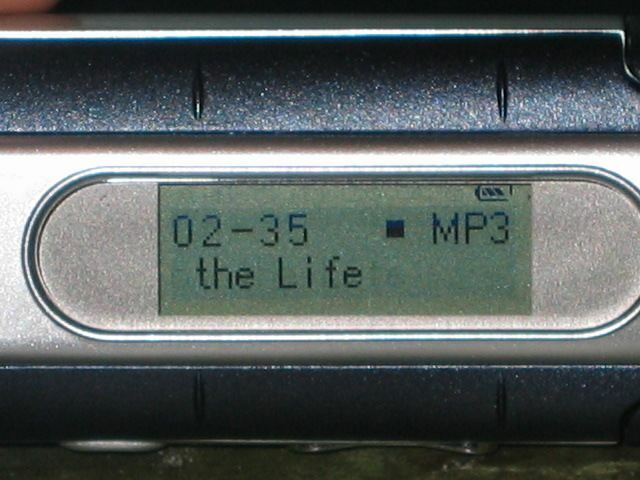 Left of the player we have the Play/Pause button, and even more to the left is a small integrated micro for voice recording. Mmm where's the USB connector you ask? Pull of the cap on the right with 'JazPiper' on it and there you have it! 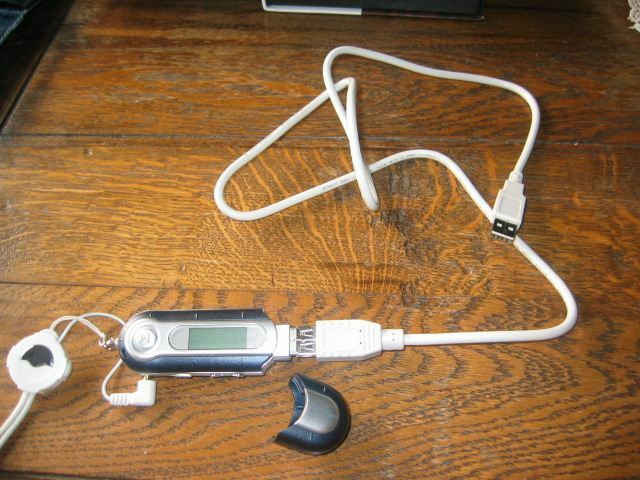 I had some problems with putting the player in one of my USB ports so I had to use the included USB cable. Very nice that they provided it in the package! From left to right we have : a stereo headphone output, a hold button and volume buttons. 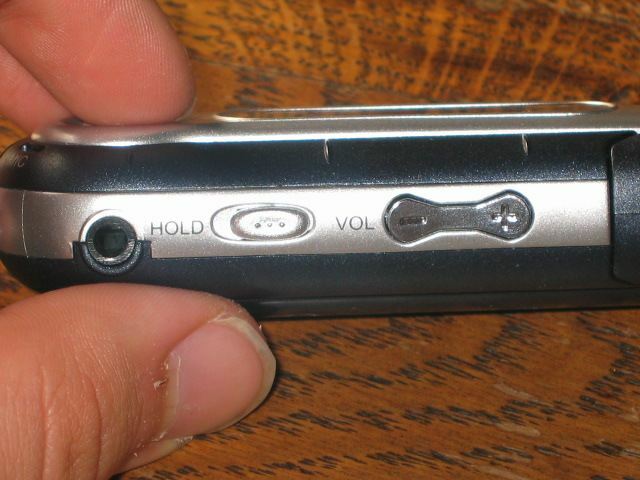 Here we have the 'intelliknob' it's used to skip to the next or previous song, prev/rew and for menu navigation. 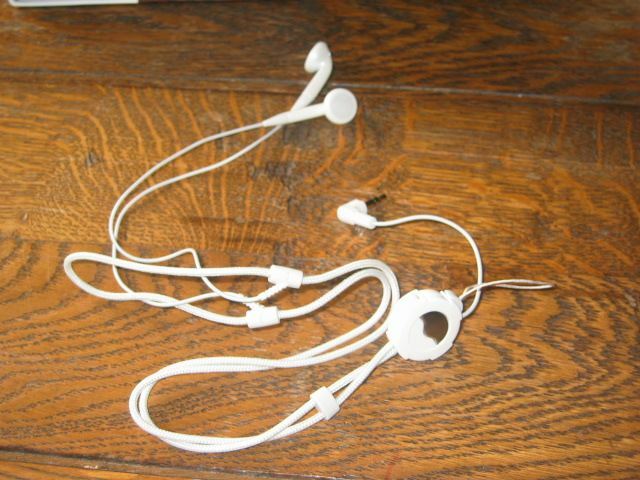 Here we have the included headphones. 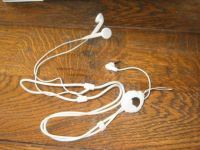 They have a nice neckstrap system so you can easely wear the Ubit around your neck while jogging or sporting. Just tie the cord that's plugged in to the round on the headphone cables around the iron ring on the left of the player and plug in the headphones! 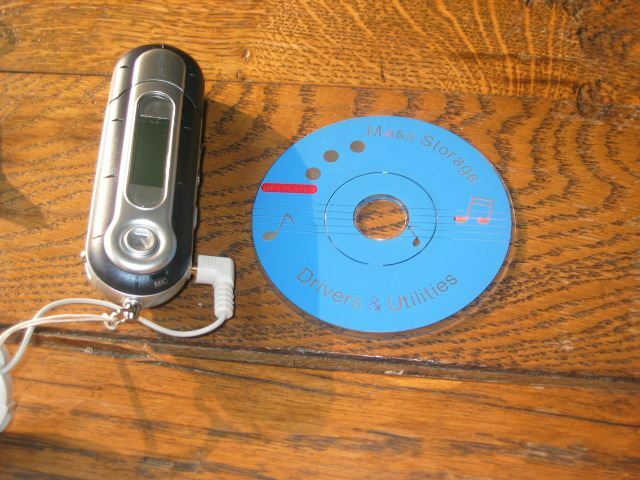 Also included was this CD-ROM with the drivers and the software. The program 'MP3Player' hasn't too much functions but it works fine. The only thing I'm missing is the ability to rip music directly from CD's to the Ubit. 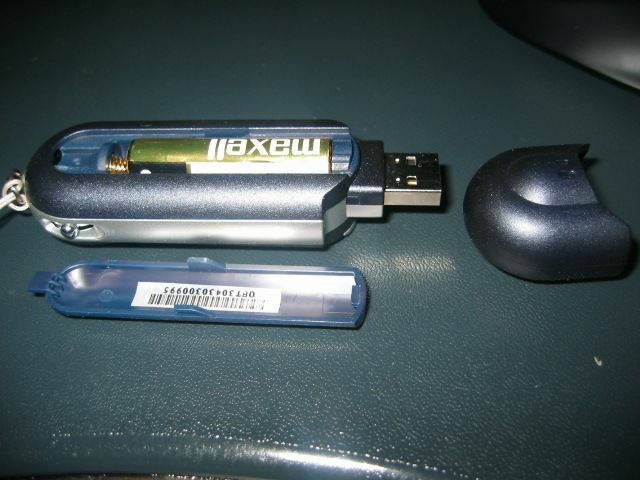 Also very nice is that the Ubit works like a Removable Drive for Windows. When you plug it in it gets a drive letter just like your HDD. This allows you to easely transfer files to it trough Explorer. You can even run you're files directy from the drive! Very nice! One of the things I noticed when I uploaded files to the drive was that my files were transfered VERY fast to the Ubit! 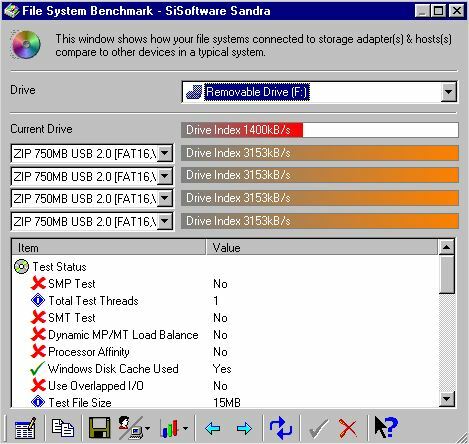 I benchmarked this with SiSoft Sandra and the program rated it at 1400KB/s, although I had the impression that it was faster because most of my files were almost immediately on the drive when I transfered them! 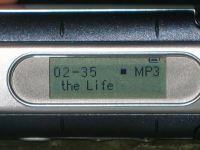 Here you have a look on the LCD screen of the player. It's easy to read and it has a blue backlight. You can specify how long you want to backlight the LCD screen in the menu, for 5, 10, 15 or 20 seconds after you puch on a button. Also in the menu you have the ability the select one of the five equalizers (Jazz, Classic, Rock, Pop and normal), you can record some audio, delete an audio file and some more. Also a nice but not very usefull feature is a bar-visualisation that comes up when you haven't puched a button for some seconds. Sometimes this is annoying when you want to check which song is playing. One of the problems I noticed were some problems with the ID3 tag readout. Sometimes the player displayed incorrect or uncomplete things. One of the only things I really didn't like were the headphones. They didn't provide a good warm sound like I expected them to do. If you're planning to buy this player then also buy a pair of decent headphones from Sony of Sennheiser like the Beatman MP3 Player had. 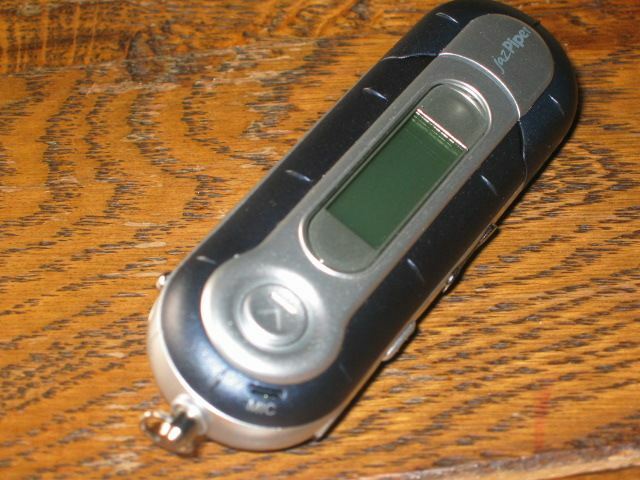 The things I really liked were the fast datatransfer and the ability to use the player like a removable drive. The only thing I really did not like were the bad earphones, with a pair of decent earphones this player rocks! The included headphones just don't get the max out of this product. I am very please to get a message this mornign from your side. Its so kind of you for the great help and quick response. 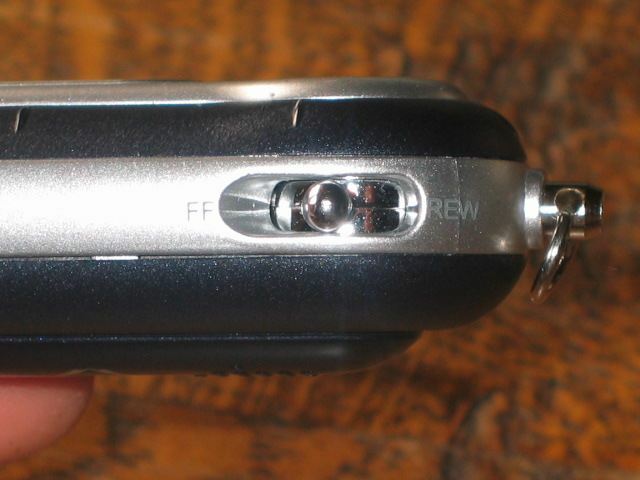 The impression that there would be some way to bring this device back in working condition really amussed me. I really tried it the same way you mentioned mean that detach the battery and then connected it to the PC and then switched this on. Believe me that the separate navigation window you mentioned (that should be poped up, didn't appeared). What should i do now? Rest all functions are working but device didn't recognizes the fix tools. Happy regards and thanking you in anticipation for the great help. Have you used the fixtools correctly? 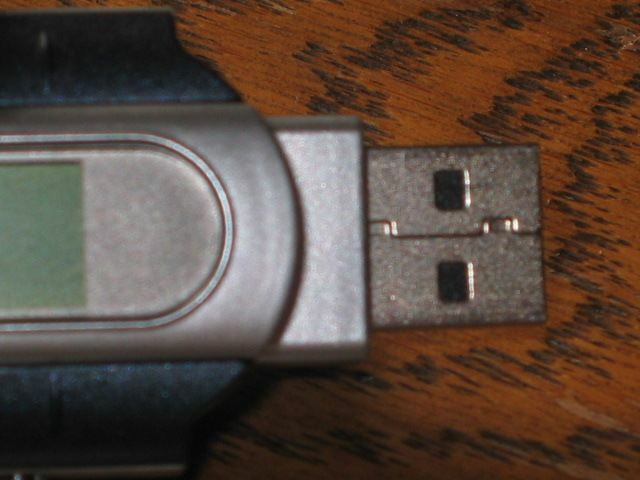 First you need to remove the battery from your UBIT, then you need to connect it to your computer, insert the battery and press the 'on' button for a few seconds. Normally you should hear a sound and Windows will boot the UBIT into a special recovery mode. I had the same problem as you a year ago and I was able to fix my UBIT with a generic program called 'Digital Audio Player Format'. Problem with UBIT JAZ-PIPER….please help ! I bought 16 units of this product “UBIT – jaz-piper” for my friends and myself a year ago, through internet from some UK vendor on a promo price. All units are working fine except the ONE I owned. The problem is actually software related. While transferring some files I got my USB hanged up and same the PC was hanged up too. I tried all the ways to detach the USB drive (jaz-piper) but I couldn’t so there left no option except to directly unplug it (other than the prescribed procedure to safely remove the drive). Soon after this, I plugged this again but it wasn’t working. Then I tried to FORMAT the drive but unfortunately Windows-ME edition had some different format extension i.e. other than / different from FAT16 or FAT32 (suggested). Later on I tried every possible thing to bring back my jaz-piper in normal working condition but of no work. I tried to install the drivers / software / fixtools etc. 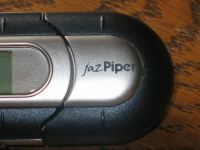 available on jaz-piper’s website but the device won’t recognize this. (PS: I didn’t get any CD-ROM with the packages, when I purchased). 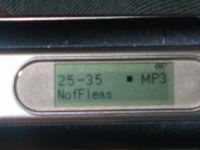 At the moment unit is ONLY working as “VOICE RECORDER”……all the files I transfer / download in the jaz-piper vanished away the moment I unplug this. Same for the voice recording, the moment I connect it to PC, it shows nothing but empty status and I couldn’t get the voice recording after unplugging the device. It gets ON shows all the built in options / functions but doesn’t keep the data in it. Should I stop thinking about my lovely jaz-piper or is there any way to repair the unit? Please help me out and let me know the solution.